It's only recently that I've really started incorporating breakfast into my routine. 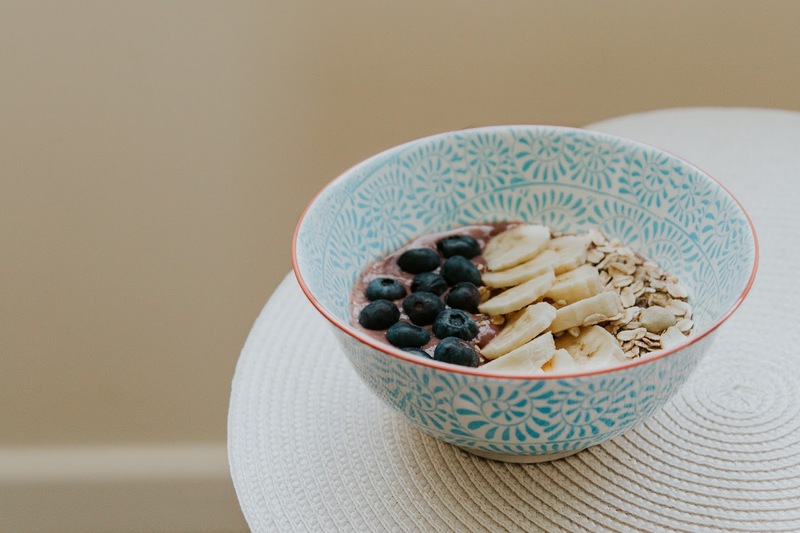 I've always known that breakfast is a crucial part of getting started in the morning (your body will thank you for it! ), but a combination of laziness, sleepiness and negligence meant that if I was cutting it fine in the morning, breakfast was the first thing to get cut out of my morning routine. After eating acai bowls in Hawaii on our honeymoon (and seeing them pop up all over Instagram.. not gonna lie..) I wanted to have a go at making one of my own at home. They are SO easy! I was so surprised - you literally just throw everything in the blender and away you go! This is the recipe I like to use - keep in mind that you can chop and change whatever you like! Put all in blender or smoothie maker - you want it to be a thick consistency! Pour into bowl and top with whatever toppings you fancy.